Doing business in today’s ultra-competitive global marketplace is challenging. Even after we spring forward and gain that extra hour, it still doesn’t give us enough time to do everything we need to do in a day...and that is just when everything is running smoothly! One thing no employer needs is distracted employees. And nothing distracts employees faster than feeling uncomfortable at work! One oh-so-common issue in today's workplaces is uneven air distribution. This can cause some parts of your building to feel overheated and others to feel uncomfortably chilly year-round. What causes this? Is it a simple lack of maintenance? Or do you need a whole new heating system, or at the very least a new set of air ducts? Let’s find out! How Does Uneven Heat Affect Worker Productivity? A survey conducted by the Globe and Mail revealed that a whopping 67 percent of employees argue about temperature preferences regularly at work. This can be far more polarizing than first appearances indicate. As tensions escalate, so does gossip. Workers take sides, some due to personal discomfort and some out of loyalty to fellow team members. Freezing workers may spend valuable work hours traipsing back and forth from the coffee machine, running their hands under the warm break room tap or heading over to tweak the thermostat yet again. Each time they do this, attention wanders from the tasks at hand. Mistakes get made while tempers flare. 11 percent of workers state too-cold office conditions are distracting. 22 percent of workers say the same about too-hot conditions. Typing mistakes go up by 74 percent under too-cold conditions. Employees tend to be comfier when temperatures hover around 25 degrees Celsius (a full 2 to 4 degrees higher than the generally recommended 21 to 23 degrees Celsius!). So these statistics are rather grim, aren’t they! While it is likely true you won’t ever be able to fully please each and every employee with the general office temperature, there are some steps you can take that can help bring warring workers to the table to call a truce. Before you dive into a major HVAC system do-over, it is worth starting right at square one to see what can be accomplished with simple fixes. We will take a look at four effective approaches to evening out temperature in the workplace, starting with the simplest and moving along from there. If you have been in your building for some time and have no record that the air duct system has ever been professionally cleaned out, this could well be contributing to the uneven heating and cooling throughout your building. Over time, just as dust builds up on the crown moulding and dishes pile up in the breakroom sink, so too do dirt, debris, pollen, toxins, and allergens build up in the inner spaces inside your air ducts. As this buildup worsens, it can begin to block the air ducts themselves. The same can happen at exit and entry points, such as exhaust vents and air registers. The more clogged with dirt, dust, and debris these important conduits become, the less efficient your entire HVAC system becomes. A professional air duct cleaning typically takes one day or less and leaves your entire air duct, air register, and exhaust vent system clean, fresh and like new—oh, and smelling great, too! Older air duct systems can begin to sag and leak as they age. When leaks along the air duct system are letting out heated or cooled air, that air never reaches its destination. This can also cause noticeable temperature imbalances from one room to the next—imbalances that aren’t explained by improper duct routing or space differences. Making repairs to leaking air ducts by sealing cracks and juncture points and then adding extra insulation around the ducts and the HVAC system can help to conserve energy and make sure temperature controlled air makes it safely to its destination. When was the last time you had your air conditioner and heating system checked for safety? This can be such an easy chore to overlook when you are wearing a leadership hat! It just doesn’t seem as urgent as some of the other items piling up in your inbox. And yet, once you realize that simple temperature issues are distracting your employees in ways that impact your bottom line, it becomes easier to move “HVAC tune-up” closer to the top of your priority list. Sometimes small annual HVAC repairs such as tightening, lubrication, and cleaning can really improve both the performance and the useful life of your expensive HVAC system! As well, regular (at least annual) maintenance of both your air conditioner and your heater may win you safety discounts with your corporate insurer (it sure doesn’t hurt to ask!). 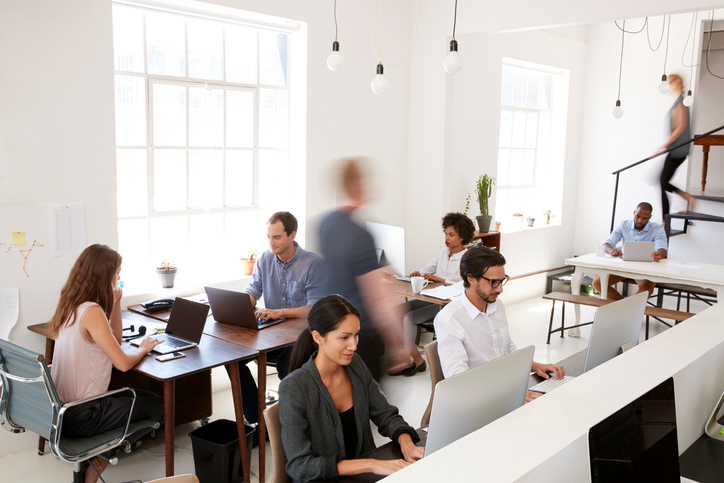 There are times when an underlying issue, such as improperly routed ductwork or changes to the size and shape of a shared office space, can cause ongoing issues with temperature imbalance. As well, if you have expanded your office, added a wing or a whole floor, or installed outbuildings or warehousing space, this can add another wrinkle to achieving temperature continuity. Here, adding specific zoned heating and cooling systems can be a relatively simple answer to a very complicated heating and cooling question! Need a new heater? Buy one now and get a FREE air conditioner! Give us a call at 905-549-4616 to learn more!